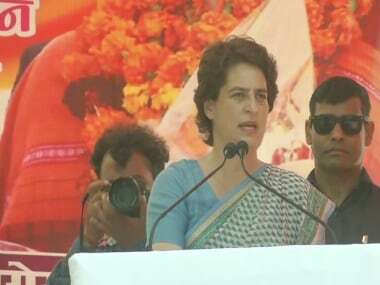 Mirzapur: Reacting strongly to Prime Minister Narendra Modi’s tweet on dynasty politics, Congress General Secretary for eastern Uttar Pradesh Priyanka Gandhi Vadra on Wednesday said that the BJP has systematically attacked every institution in last five years. "BJP has systematically attacked every institution in last five years. Including institution of which you are a part of (media). The Prime Minister should stop thinking that people are fools and understand that they see through all this,” she said speaking to reporters. 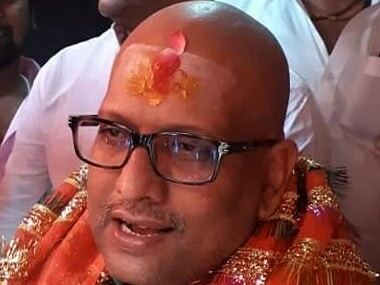 “Satta jiske sar par chad jati hai, unko galatfaimiyan ho jati hai. (People get disillusioned when a political dispensation tries to influence them)," she added. “Firstly they that it is easy to mislead the people, and secondly whoever speaks against them are afraid of them. We are not afraid of them no matter how much they exploit us. We will keep fighting against them,” she said. Earlier in the day, Narendra Modi in his blog wrote, "The biggest casualty of the same (dynastic politics) are institutions. From the press to Parliament, from soldiers to free speech, from the Constitution to the courts, nothing is spared." 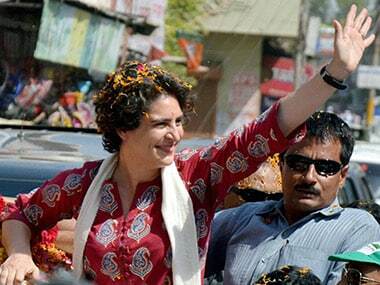 Priyanka is on a three-day long ‘Ganga Yatra’ from Prayagraj to Varanasi. 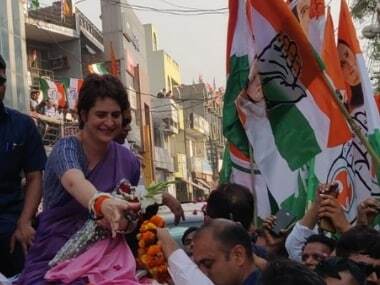 Priyanka’s tour will focus on ‘Sanchi Baat Priyanka ke Saath’ in which she will talk to people during her 140 kilometres long travel on a steamer boat to Assi Ghat in Varanasi. The Lok Sabha elections have been scheduled to start from 11 April and will go on till 19 May in seven phases. The polls in Uttar Pradesh will be held in all seven phases. The counting of votes will take place on 23 May.